We love our trucks in Alberta. Over a third of every vehicle on the road in our province is a pickup of the half-ton variety – commuting, hauling, towing, exploring… Our provincial hinterland is the ideal ecosystem for this stately beast. 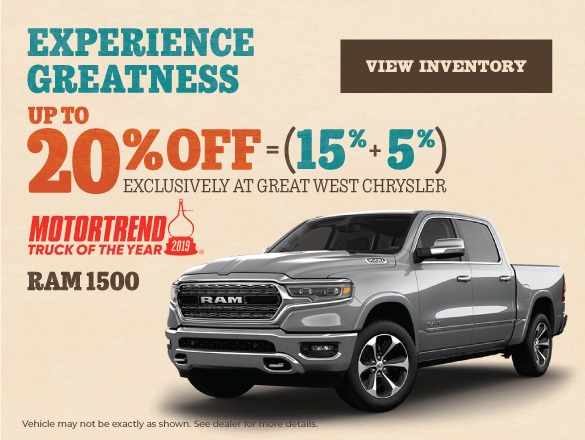 The pickup has long been established as the vehicle best suited for the diverse needs of both our lifestyle and environment, and 2019 brings a distinct change in the air, because Great West Chrysler is home to the new RAM 1500, the 2019 Motor Trend Truck of the Year. 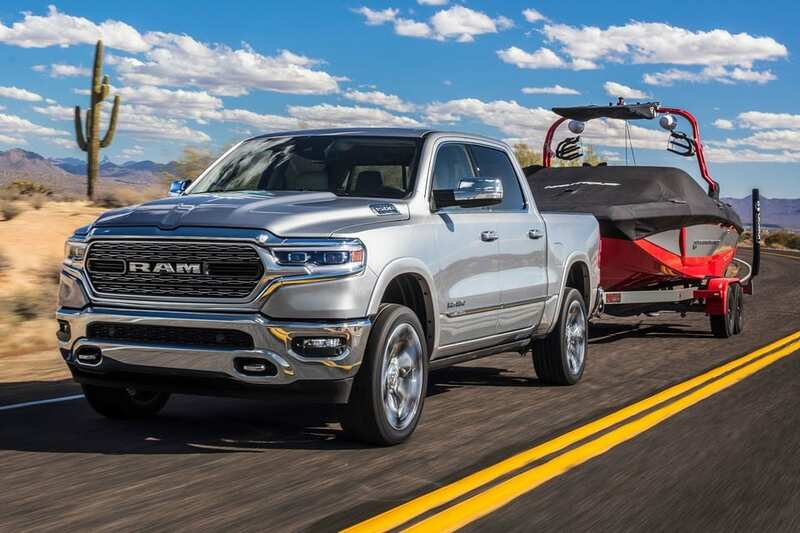 This the fifth-generation RAM 1500, and in its latest evolutionary form has fulfilled the measure of its creation by bringing more to the table than any of its predecessors, or its competitors. This is the truck that finally meets the needs of the 21st-century truck buyer. 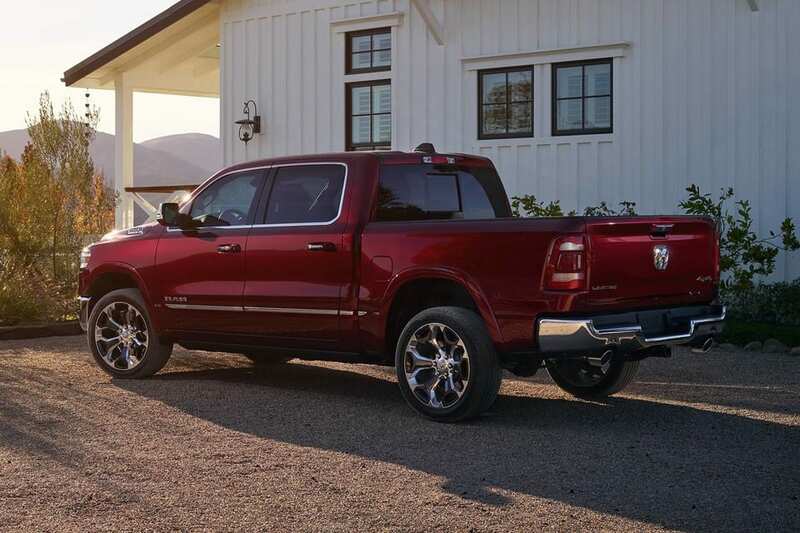 The 2019 RAM 1500 is re-designed to appeal, by purveying an understated sense of sophistication and power uniquely its own. No more crosshair grilles, and mini-Mack fenders, but instead choice for the buyer. Choice of seven grilles, and three head and taillamp designs, and we don’t even have room to start on the 15 wheel designs. 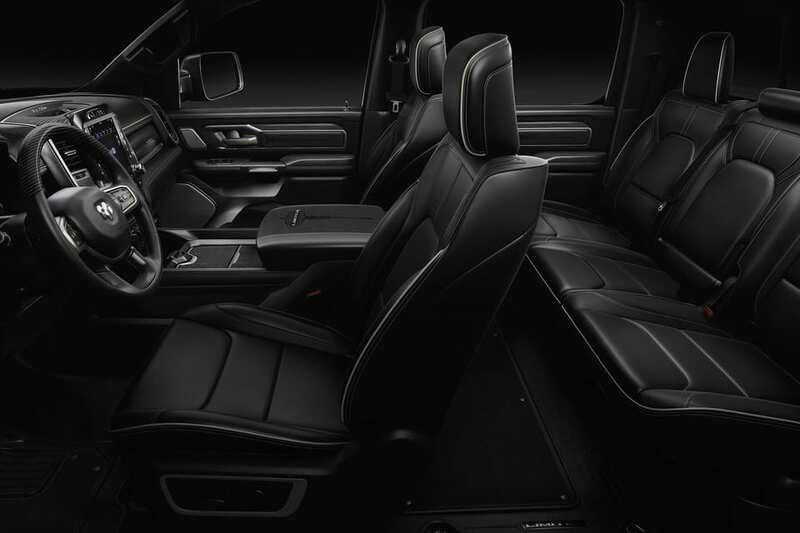 The interior refresh is even more impressive in denoting the measure of innovation and thought that went into this RAM. Utility meets luxury in a seamless marriage of eye-candy and functionality. Capability, efficiency, and performance are the relevant themes for the new RAM 1500. The foundation for this re-engineered masterclass is a new high-strength steel chassis, 17 percent lighter than the old one. The emphasis is on ride and performance, including new frequency dampers on the rear suspension coupled with air suspension with five ride heights and available load leveling. Towing capacity has risen to almost 5800 kg, and the actual implementation and process is a breeze with high-resolution rearview cameras and blind-spot sensors that adjust for trailer length. The Motor Trend Truck of the Year also features an eTorque engine in two of its three versions. These mild-hybrid powerplants come in the base 3.6-liter V-6, rated at 305 hp, and 269 lb-ft of torque, and the top-tier 5.7-liter V-8, which turns out an astonishing 395 hp and 410 lb-ft of torque. Is your present truck a liability at the pump? The new RAM is the most fuel-efficient V-8 in its class. 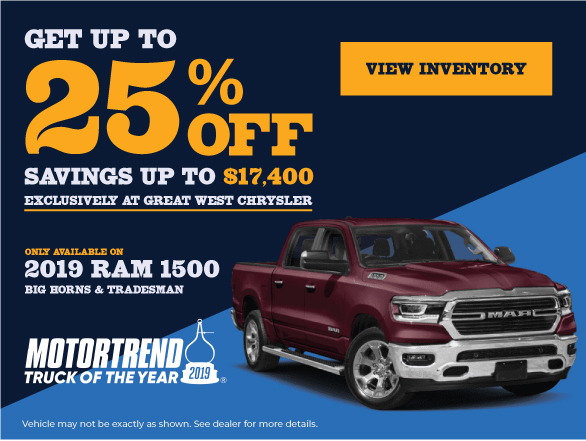 The value of the 2019 RAM 1500 cannot be overstated. Whether it be the base Tradesman, Big Horn, Laramie Longhorn or Limited models. 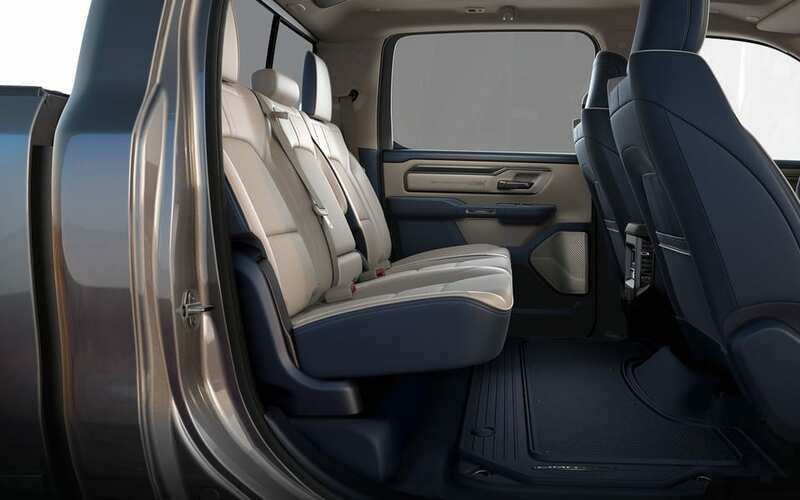 The premium look and feel cabin materials, and the successive upgrades in tech from the base Tradesman to the luxurious Limited are simply unbeatable when compared to competing models, especially in the Laramie Longhorn and Limited. Combine this extensive value propositions with the fact that the RAM achieves top scores with the IIHS in all six crash tests, this is the truck made to lead the pack for buyer satisfaction and safety. With everything said and done (and it is now), this truck will move you and everything else you might want moved, better than all the rest. Natural selection applies to half-ton pickups too.